Ενημερωθείτε για όλα τα νέα προϊόντα μας και τις προσφορές μας! UPDATE: The PMP exam update has been postponed till January 11th, 2016 to allow all examinees adequate time to prepare for the change. See the full announcement on the PMI website. Those aspiring to get their Project Management Professional (PMP) certification, take note: there will be changes to the PMP examination which will go into effect this November 2015. So if you’re studying for the PMP exam with older material (i.e. the Exam Content Outline dated August 2011), you have until November 1st to use those materials and take the exam. After that date, the new PMP exam will be instated and you’ll have to upgrade to the new Exam Content Outline (dated June 2015). Why is the PMP Exam Changing? 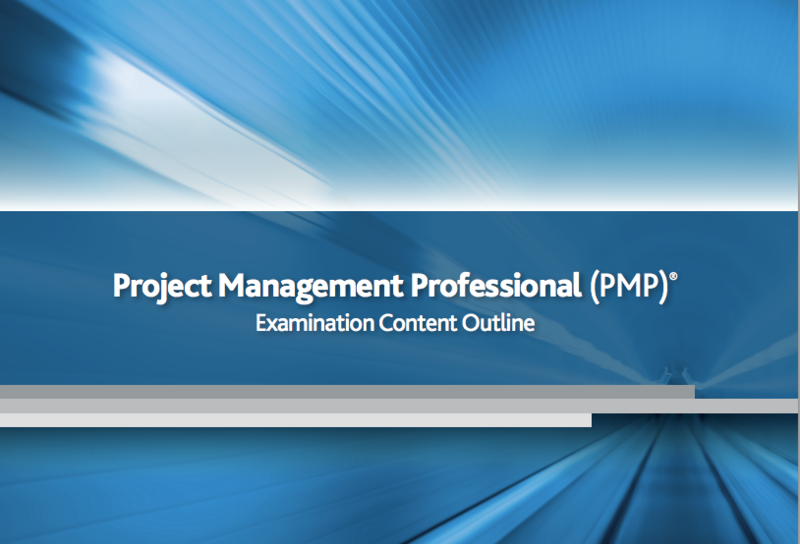 The PMP exam is being updated because the role of the project manager continues to evolve. The exam is meant to reflect current practices. In fact, certification exams are updated every three to five years to ensure they stay relevant for project managers. To update exams, a Role Delineation Study (RDS) is undertaken to examine the role of of the project manager and distill it down to key competency areas, such as domains, tasks, knowledge, and skills. The research done in the RDS is then validated by the larger PM community. Overall, there are minor changes to terminology and language within many tasks. While the essence of these tasks remains the same, the language has been modified to fit current practice in the industry. A few tasks were removed from the prior version of the Exam Content Outline. Because they were dropped, the new PMP exam will not include related questions. The 5 domain areas remain the same, but there are shifts in how each area is weighted, meaning a corresponding change in the number of questions pertaining to each domain. For example: Domain 3 “Executing” has increased to 31%; this means there will be more questions on domain 3 than the previous version of the exam. The biggest change is the introduction of eight new tasks to the Exam Content Outline. See the chart below. Domain 1 has three new tasks (Task 2, 7 and 8), Domain 2 has one new task (Task 13), Domain 3 has two new tasks (Task 6 and 7), and Domain 4 has two new tasks (Task 6 and 7). Why Were These Changes Made? There is an increased focus on business benefits, strategy, and benefits realization. This is because project managers are now being brought in at the earliest stages of projects when benefits analysis is conducted. Today’s PMs often need ensure that the project focuses on business benefits rather than just delivering on time. Another topic with added emphasis is lessons learned. Traditionally, PMs only discuss lessons learned during the initiation phase (lessons learned from past projects) and then again during the closing phase (lessons learned on this project). The focus is now on gleaning lessons learned throughout the entire project lifecycle. The consensus now is that it’s typically NOT the project manager who is solely responsible for creating the project charter. Instead, it’s the sponsor or customer who creates and approves the project charter, while the PM acts as a contributor to its development and informs team members and other stakeholders about its contents. Parts of the exam were changed to reflect this shift. Everyone now agrees that project managers build two-way relationships with stakeholders, instead of simply sending one-way communications and updates. The exam changes now place a greater emphasis on managing and engaging stakeholder relationships to effectively complete a project. Expect to see 25% of the exam content cover new topic areas from those 8 added tasks. Also, expect a large percentage of the rest of the exam questions to be new and updated. Some things are not changing. The eligibility requirements remain the same: every PMP candidate needs to have 4,500 to 7,500 hours of experience in leading and managing projects, and should also have a total of 35 hours of formal project management education. The overall structure also remains the same. 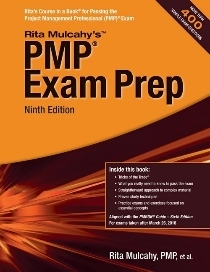 The PMP exam will still be made up of 200 multiple choice, scenario-based questions. PMI, PMP, PMBOK, the PMI Logo, the PMI Global Executive Council logo and the PMI Registered Education Provider Logo are marks of Project Management Institute, Inc. PRINCE2®, ITIL®, M_o_R®, MSP® and P3O® are registered trademarks of the Axelos Limited. The Swirl logo™ is a trademark of the Axelos Limited. Microsoft® is a registered trademark of Microsoft Corporation in the United States and/or other countries. CBAP® and IIBA® are registered trademarks of International Institute of Business Analysis. The PMI Registered Education Provider logo is a registered mark of the Project Management Institute, Inc.
Όλα τα workshops μπορεί να τα παρακολουθήσει κάποιος και ΕΞ’ ΑΠΟΣΤΑΣΕΩΣ με την πλατφόρμα synchronous e-LEARNING Cisco WEBEX! Το 2003 η ITEC-CONSULTING πιστοποιήθηκε ως εκπαιδευτικό κέντρο του PMI στην Ελλάδα (PMI REP) (η πρώτη Ελληνική εταιρεία). Το 2007 έγινε αποκλειστικός συνεργάτης της RMC για Ελλάδα και Κύπρο (Aurhorized Product Distributor και Authorized Training Provider). Το 2014 πιστοποιήθηκε ως PRINCE2 και ITIL Authorized Training Organization (ATO). Το 2015 πιστοποιήθηκε ως PRINCE2 AGILE Authorized Training Organization (ATO).